Hydrangea branches arch and bow, showing their pale purple bouquets, against an ivory background. 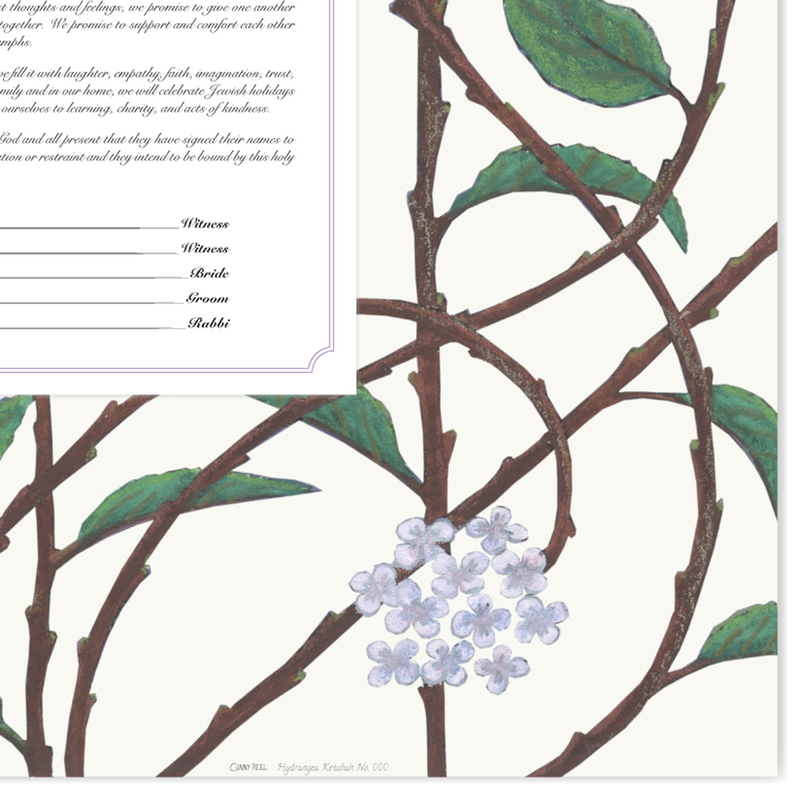 Classic and lovely, this simple ketubah will stand the test of time. I am my Beloved's and my Beloved is mine arch above the text - it may be removed or other quotes substituted. Hydrangeas in various shades of pale purple form clusters of blossoms. Green leaves and dark woody stems stand in contrast the pale ivory background. Elegantly arched, the woody stems form natural patterns inspired by the Victorian fabric and furniture design of the Arts and Crafts movement. The lines are bold yet the design has a soft romantic appeal. 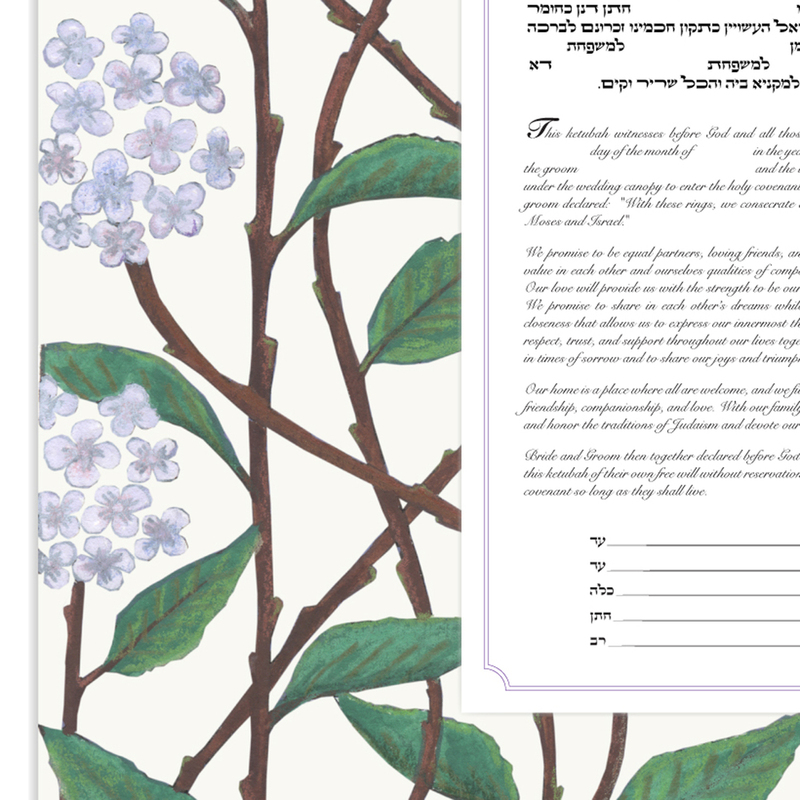 Traditional and classic, this ketubah will stand the test of time.